Columbus Underground is an online media outlet based in Columbus, Ohio. We are a hyper-local, community-driven, new media enterprise that creates unique exclusive content, and provides connections to our community. We tell the stories of Columbus by showcasing the best reasons why it is great to live here and why you should build your life here. The website was launched in November 2001 when Walker and Anne Evans recognized the local nightlife scene did not have an adequate online resource to represent all of the great events that were happening around the city. It quickly grew to be the place to find out about dj events, talk about upcoming events and for djs to connect with venues in the Columbus nightlife scene. In 2005, they registered it as a business. In July 2007, Walker was able to make it his full-time job and in April of 2010, Anne left her job to join him. Now, an Editorial Director and an Advertising Sales Executive have also joined the team. 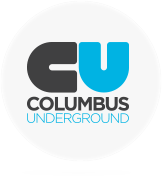 ColumbusUnderground.com has always been configured as a community-driven resource. As a result, as our community of users has continued to grow, so have the topics of discussion and focus areas. ColumbusUnderground.com has expanded during the past decade to cover local development, restaurants, politics, civic issues, transit, lifestyles and a wide range of general interest topics. Today, ColumbusUnderground.com provides locals and visitors with an online resource where they can find and share information related to entertainment, dining, music and more. If you are new here, take a look at some of the Features our readers voted as our best. Take a look at this video Mike Beaumont made of our 2010 holiday party. Hope to see you soon! Columbus Underground Holiday Anniversary Party from Mike Beaumont on Vimeo. ColumbusUnderground.com is headquartered in Downtown Columbus at 11 E. Gay Street, Suite 300. Contact us here. Follow us on Twitter here. Like us on Facebook here. We also send out a weekly newsletter on Monday mornings. If you'd like to sign up for our mailing list, click here. "Alive People to Watch: Big Thinker: Walker Evans," Columbus Alive!, July 17, 2008. Walker Evans has spent the majority of his life in Central Ohio, and is one of the biggest fans of the city of Columbus. He currently lives in the King Lincoln District (located a short walk east of Downtown) with his wife Anne and their two children. In addition to ColumbusUnderground.com, Walker is a freelance creative consultant specializing in online marketing, social networks, graphic design and digital communications. Walker also stays involved with a variety of civic organizations and currently serves on the North Market Development Authority Board of Trustees, the Board of Directors for Dine Originals Columbus and the Columbus Metropolitan Club. Walker also maintains his personal blog The Walker Evans Effect. Anne Evans grew up on a small dairy farm in Northeast Ohio and moved here for college. While earning a degree in English, she met Walker and the two have built a life together here. She's always enjoyed living in the urban neighborhoods of Columbus and was excited to find an 1890s Italianate home in the King-Lincoln District to raise her family. Restoring the home to the beauty it deserves has become something they love doing not only for themselves, but also for others to enjoy as they go through the neighborhood. Anne can also be found online at HandcraftedDelights.com where she sometimes blogs about scrapbooking and making cute things. Columbus Ohio is the 15th largest city in the United States, the largest city in Ohio (as well as the capital) and home to a region of nearly two million people. Despite being in located in the "Midwest" we're actually geographically closer to the East Coast. While many of our neighboring cities are classified as being in the "Rust Belt," we don't share their heavily industrial past. Columbus is a bit of anomaly in Ohio, and many who have never visited are unaware that we're mostly a white-collar, highly-educated, youthful, vibrant, open-minded and diverse city. Visit ColumbusUnderground.com's sister site, TheMetropreneur.com. Launched in August 2010, TheMetropreneur.com is a local online resource devoted to small business development and entrepreneurship. Its aim is to tell the stories of Central Ohio's business community, foster regional economic development and assist entrepreneurs with its resource-heavy focus.